The HR Solutions Human Resource Policies and Procedures Audit will provide you with a current picture of the ways you deal with your employees and comply with the myriad of laws and regulations in the HR world today. Covering virtually every aspect of the human resource function, it allows you to identify your needs and focus your actions and resources where they will have the most impact. Our audit serves as an excellent risk assessment and management tool, showing areas of possible compliance exposure. Our consultant will visit and review the work site, examine employee files, examine operational files and perform other inspection activities. Additionally, we conduct interviews with your staff to make our assessment of the state of HR practices in the facility. We use a carefully developed set of guidelines for our audit. The resulting report from this audit is presented in the format of an executive summary and is usually presented in a follow up conference. The audit is a good way to find out what you are already doing well, and how to prioritize and strategize for those areas where improvement is indicated. 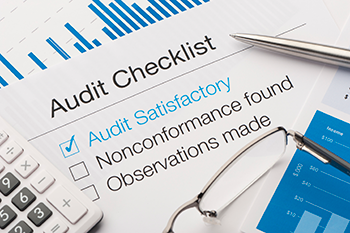 A business wouldn’t think of operating without a periodic financial audit – doesn’t your organization deserve the constructive scrutiny of a human resource audit? Employee handbooks explain the relationship and responsibilities of employee and employer and provide clear communication on a variety of employment topics. A well-written employee handbook establishes guides for the workplace and protects the employer from liability. Our customized handbooks specify expectations, rules and compensation. A comprehensive employee handbook will include information regarding compensation, benefits, dress code, human resources issues, time off, workers’ compensation, performance reviews, discipline and rewards, drug and alcohol policies, anti-discrimination policies, social media usage, safety guidelines and various other behavioral and procedural expectations as well as comply with all federal, state and local laws that might apply. The handbook is vital from a legal standpoint – in many employment lawsuits, it will be a key piece of evidence that can either protect your company or provide ammunition for an employee (or former employee) who is suing you. You can drastically reduce your liability by clearly laying out all employee expectations and prohibited behavior. Our highly trained and experienced HR consultants and licensed attorney can provide you with a customized handbook that will serve as a valuable compliance and management tool for our company.